Timothy Burke, professor of history and blogger at Easily Distracted, has a new project—to post and write about pictures from a year at Swarthmore, beginning with 2011’s Commencement. Here’s an excerpt. 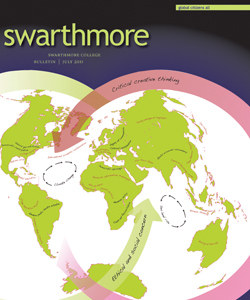 Swarthmore College Bulletin editor Jeffrey Lott will step down at the end of December. He will move to a part-time job at the College, serving as writer and editor of a book about Swarthmore to be published on the eve of the College’s 2014 sesquicentennial.